I am already thinking about the holidays and since we are cutting way back on things this year I want to give some of my summer canning away as gifts. I went looking for some ideas to make homemade canning labels. I found so many great ideas! One of the best finds of the day was a really neat website, Sweet Preservation. 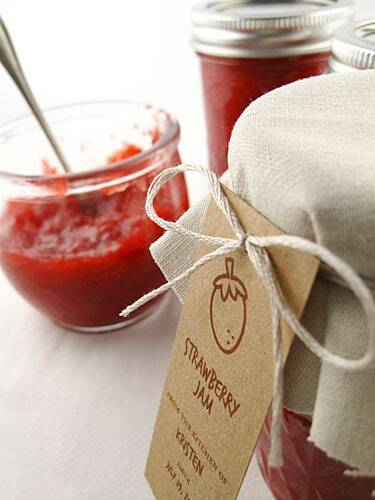 They have a whole page just loaded with free canning label download templates. My jams and jellies turned out great this year, so I will be giving them away the most so I was looking for jam labels and came across this fabric jam topper at Domestifluff.com. Again free downloads and I love FREE! After I started to look at all the cute designs I felt silly, I am a graphic designer and can design my own labels but sometimes it’s just nice to let someone else do the designing. So cute! 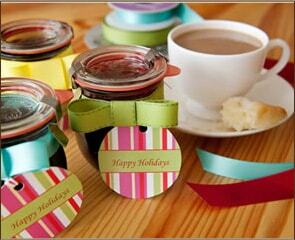 Making a gift of your homemade goodies is fabulous! Wah!! I love the free canning labels. I keep my spices in half-pint jars and I’ve been trying to come up with a cute labeling system so your links will help a ton. I love all the freebies out there like these but I feel guilty for never returning the favor. I have templates of my own that I’d love to turn into free printables but I dont’ know what it takes to add the cute graphics and color to them. Do these “freebie people” use a special software or what? I’d love to know. In the meantime, thanks for sharing these links on the Barn Hop! These are really cute! I am looking forward to sharing the bounty of our garden this fall and these will be perfect. Thanks so much. They are cute and I can’t wait to attached them to my jars and give them away!